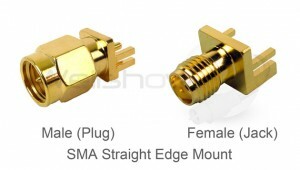 首頁 » Technical Support » RF Connector » What is an SMA Connector? 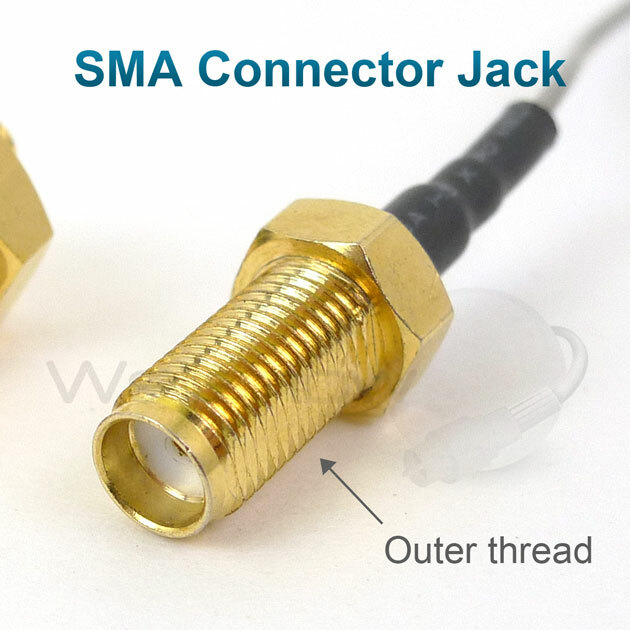 SMA connector are coaxial RF connectors developed in 1960s and SMA is the abbreviation of SubMiniature version A. SMA connector has a 50ohm impedance, 1/4-36 thread type coupling mechanism and this RF connector offers excellent electrical performance from 0 to 18GHz. SMA connectors are available in various quality classes for different applications with different material options. 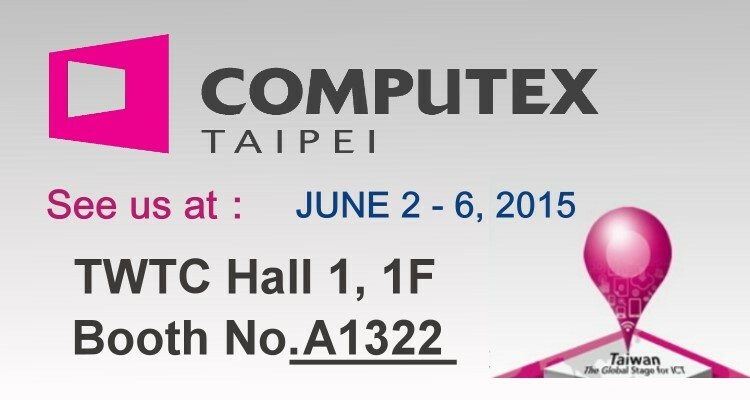 Various SMA connectors are widely used in Vehicle Tracking System, Wireless LAN, WiMax, Telecommunication, Aero and precise testing instrumentation. SMA Male is equipped with 8mm hex nut to allow torque by wretch. SMA connector’s hex nut normally is made by brass but stainless steel also is available for better corrosion resistance. A silicon rubber O-ring is embedded between main body and coupling nut for dust resistance. 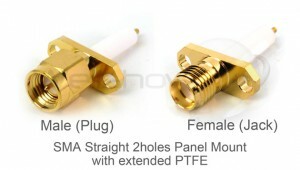 SMA Female has 4.32mm length thread for coupling purpose, and 6.24mm diameter of thread area. 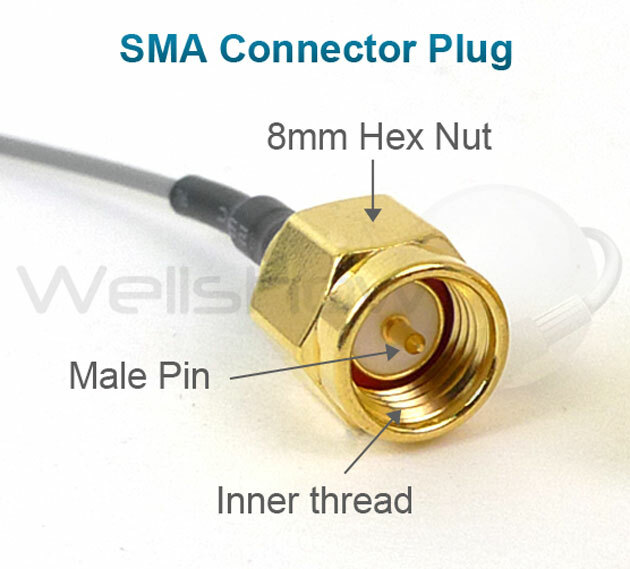 SMA Male is equipped with 8mm hex nut to allow torque by wretch. SMA coupling nut has inner thread and male pin. SMA Female has 4.32mm length outer thread for coupling purpose, and 6.24mm diameter of thread area. The cable entry way is at 90 degree against coupling way. The cable entry way is vertical to coupling way. When thread length is much longer than around 4.5mm and it is equipped with washer and nut, we can definite it as bulkhead mount type. Bulkhead means the connector can be mounted on wall or panel with washer and nut. SMA connector rear mount bulkhead type has mounting thread in mating end. After mounting, the washer and nut are exposed outside the device. 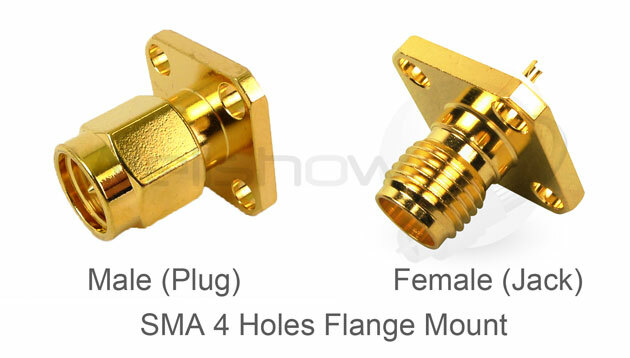 SMA connector front mount bulkhead type has mounting thread in cable or pcb mounting end. After mounting, the washer and nut are inside the device. A sealing O-ring is embedded inside the hex flange. After mounting onto panel sheet with washer and nut, the O-ring can resist dust and moisture. 2 thru holes on connector flange. The flange is exposed outside. Two screws are inserted into and have nuts to fix from the internal of enclosure. 4 thru holes on connector flange. The flange is exposed outside. Four screws are inserted into and have nuts to fix from the internal of enclosure. PCB type SMA connector normally has 2.9mm or 3.9mm leg lengths. Four legs and one conductor will go through PCB vertically, and be soldered in rear side of PCB. 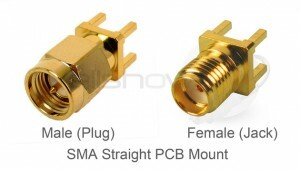 SMT type SMA connector has very short legs from 0.5mm~1.6mm. Legs and conductor will be mounted on PCB’s surface. PS. We distinguish SMT and PCB type SMA connectors according to the leg length normally.